The movie's relevant and entertaining content is ruling the Japanese market. PadMan, which was received well at home, has managed to do well in Japan too. 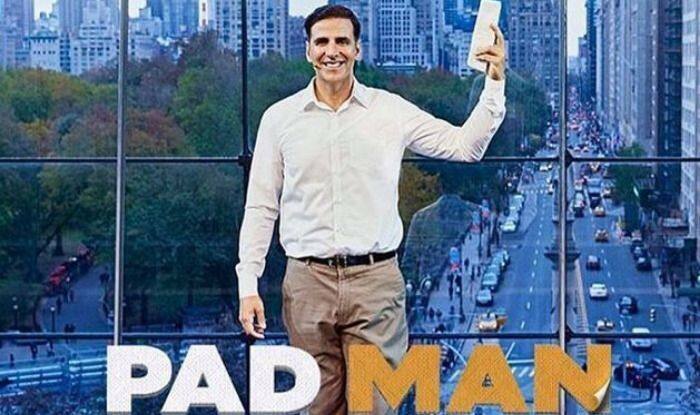 The movie, starring Akshay Kumar, Sonam Kapoor and Radhika Apte in lead roles, was inspired by the life of Arunachalam Muruganantham, a social entrepreneur from Coimbatore, Tamil Nadu, who introduced low-cost sanitary pads. While it did not get the desired results in China when it was released, it has managed to stay on top of the box office in Japan where it has earned a total of Rs 4.49 crore. The movie, which was released on February 9, 2018 and was directed and written by R Balki, is currently running in 18 locations and is in its sixth week. Film trade analyst Taran Adarsh tweeted the numbers out. PadMan was created to reach a broad audience and bring about awareness and eradicate prevalent superstitions in India surrounding sanitary pads. The movie came about after actor-author Twinkle Khanna, Akshay’s wife, decided to take her story on Muruganantham’s persistence and determination to the big screen. Twinkle, who also serves as a producer on the film, said she was drawn to the project due to its relevant yet underrated subject about menstruation. For Akshay, this is not the first time he has starred in a film that deals with bringing about awareness, as in 2017 he played the lead role in movie Toilet: Ek Prem Katha, which stresses on the eradication of open defecation, especially in rural areas of India. The actor will next be seen in war movie Kesari alongside Parineeti Chopra. Directed by Anurag Singh, the film tells the story of Havildar Ishar Singh who participates in the Battle of Saragarhi, which took place between the Sikh soldiers of the British Indian Army and the Pashtun Orakzai tribesmen in 1897.